A cat lives in a house filled with toys, but every day she dreams of being free like the bird she watches through the window. Finally, with the bird's help, she is able to escape and dance on the roofs of the city by moonlight. This lovely story unfolds in a series of playful, brilliantly colourful illustrations based on the artist Paul Klee's work. Influenced by the artist's bright palette and use of shapes and line, the book culminates in a dazzling reproduction of Klee's Cat and Bird. Accompanied by information about the artist and this iconic painting, the book invites appreciation of the unfettered joyfulness that makes Klee one of the most universally loved artists of all time. 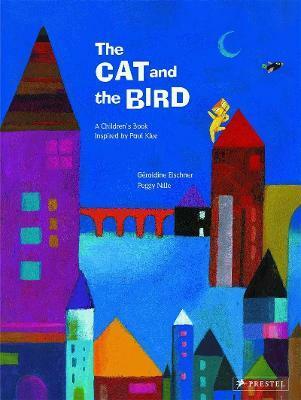 A treasured painting by Paul Klee is the basis for this whimsical tale about a cat and a bird, and about the themes of freedom and friendship. This lovely story unfolds in a series of playful, brilliantly colored illustrations based on the artist Paul Klee's work. Influenced by the artist's bright palette and use of shapes and line, the book culminates in a dazzling reproduction of Klee's Cat and Bird. Accompanied by information about the artist and this iconic painting, the book invites appreciation of the unfettered joyfulness that makes Klee one of the most universally loved artists of all time.